Dr Eleni Heracleous is a Collaborating Faculty Member in CPERI/CERTH and an Assistant Professor at the International Hellenic University in Energy Systems. 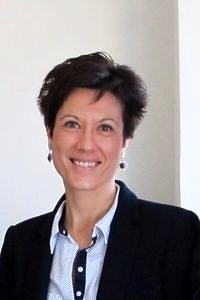 She is active in the field of heterogeneous catalysis, with focus on the development of catalysts and processes for CO and CO2 hydrogenation to methanol and higher alcohols, selective oxidation of alkanes to olefins and conversion of biomass and biomass-derivatives to high quality fuels. She received her PhD in 2005 from the Aristotle University of Thessaloniki on catalyst development for light alkane valorization. From 2005-2008, she worked in Shell Global Solutions in Hamburg, gaining experience on biofuel product development. Since 2008, she has been working in CPERI/CERTH on various national and EU projects with focus on the development, characterization and testing of catalysts for the synthesis of 2nd generation biofuels from CO hydrogenation and the upgrading of biomass-derived intermediates. She is the author of over 50 publications in high impact refereed journals (>1200 heterocitations, h-index 19) and over 100 presentations in national and international conferences.